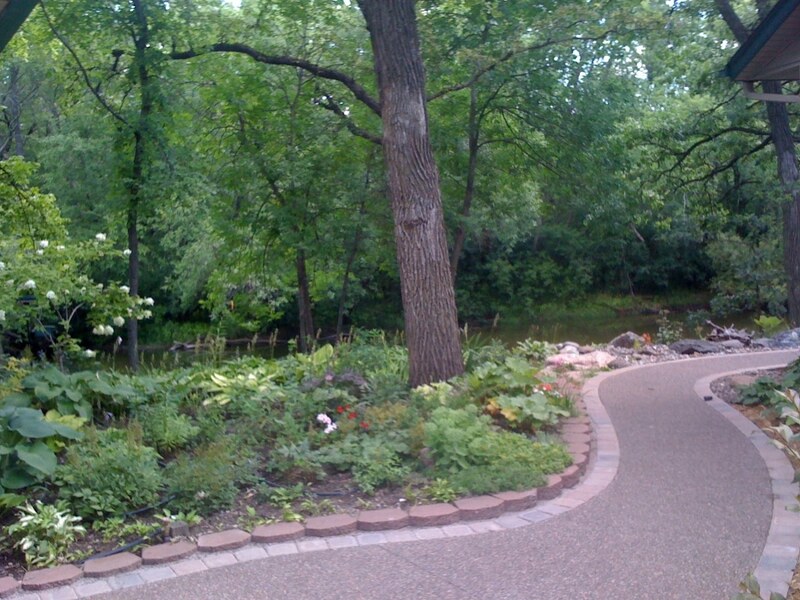 Deck Building in Minnesota - Building Renewal, Inc. 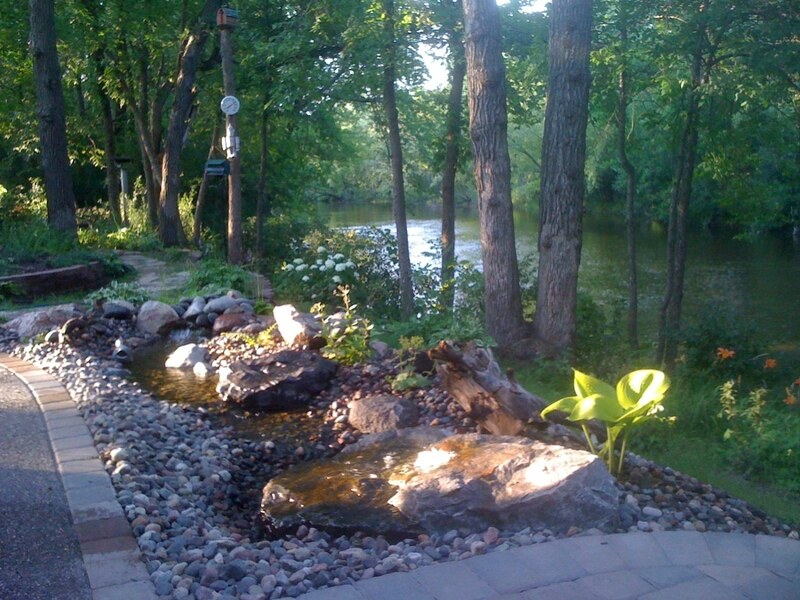 Welcome to our Outdoor Living Page. 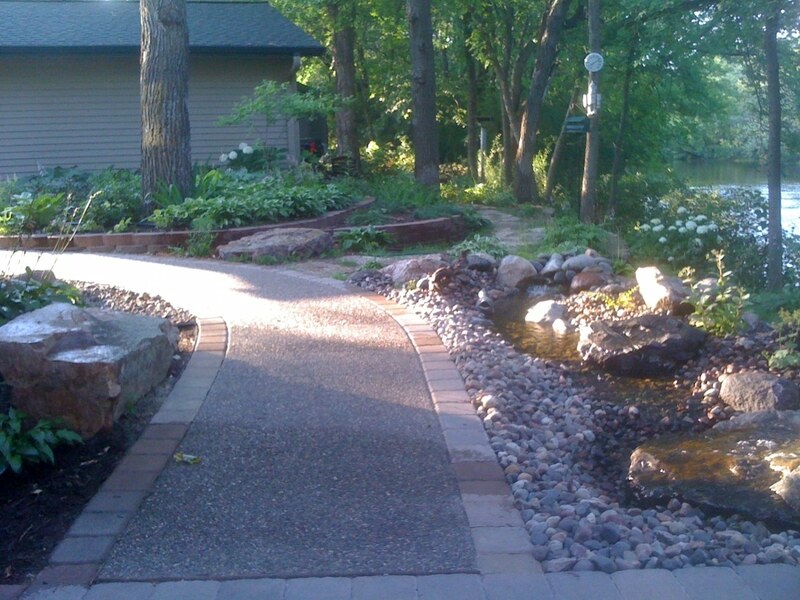 Below is a sample of some of the outdoor living projects Building Renewal, Inc. has completed for our clients. 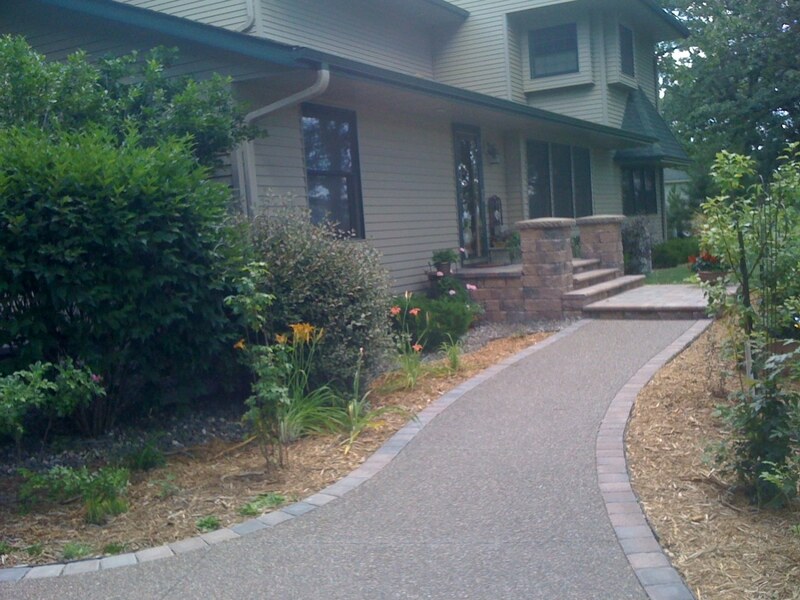 Whether you want a new deck, to build a new screen porch, give that existing space a makeover, or would like a new landscaping feature; Building Renewal, Inc. has the knowledge and experience to help you with your outdoor living project. 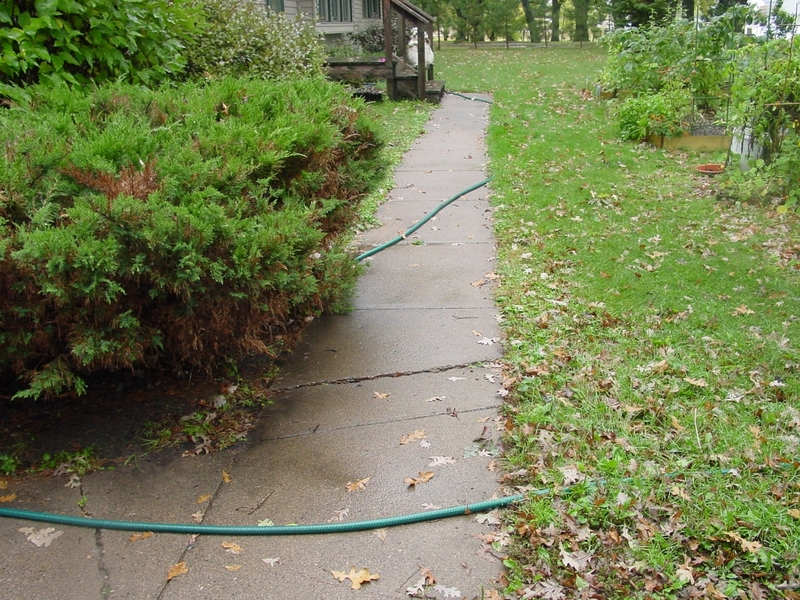 Building Renewal, Inc. is a TrexPRO certified deck installer. 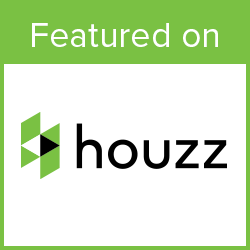 Give us a call to discuss your deck project, or view past decks in the gallery below. 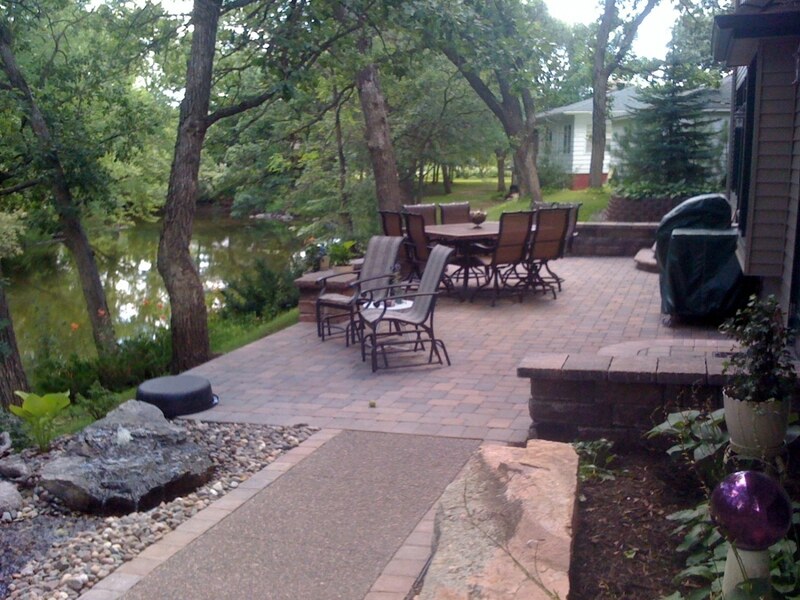 After much debate with the local township over the addition of a porch; Building Renewal, Inc. installed this 28′ x 12′ Trex deck on a beautiful lake home in the northwest metro. 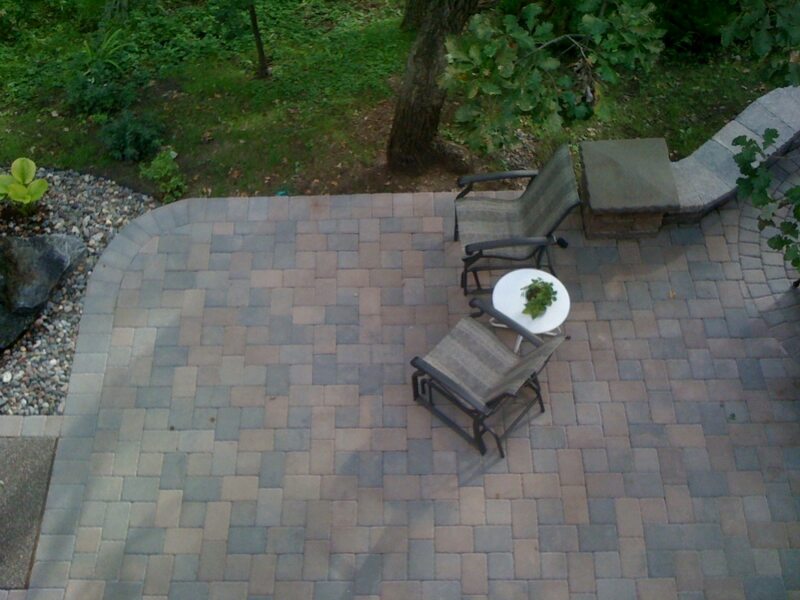 The deck includes Trex Transcend Lava Rock decking and Westbury Aluminum Railing. 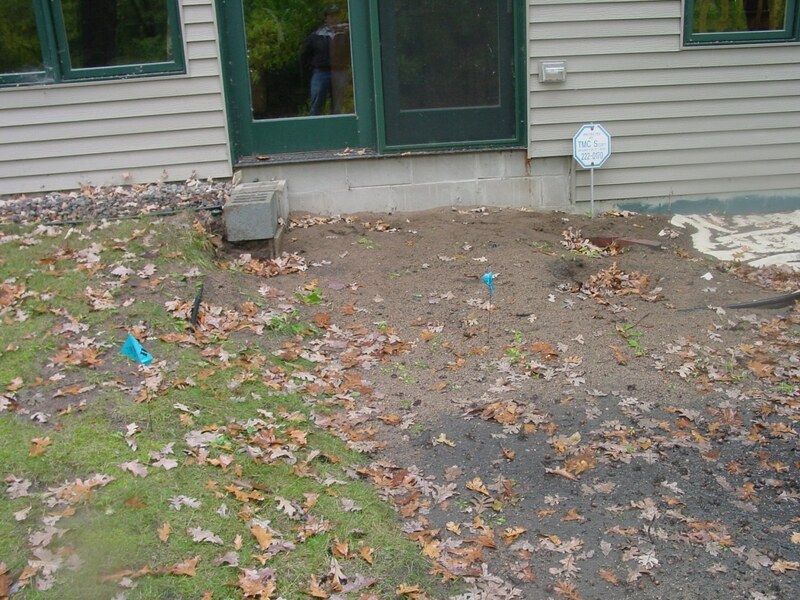 The following year the customer decided they really wanted that screened porch. 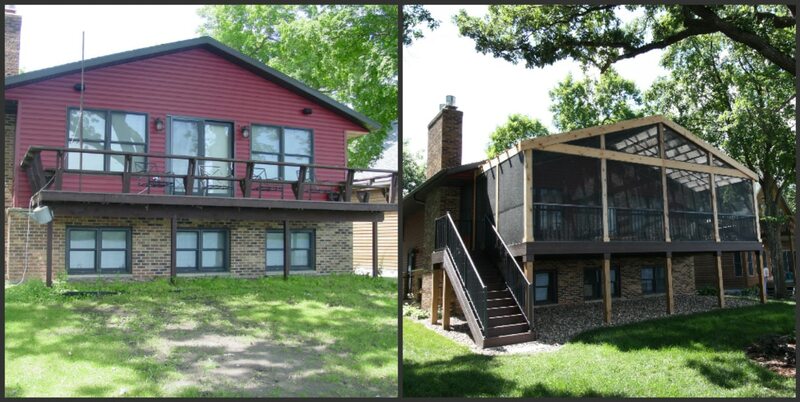 In order to get the variance approved, we designed a screen roofed pergola to enclose the deck. The pergola consists of cedar framing with screen tight enclosure system, and custom built removable roof panels. 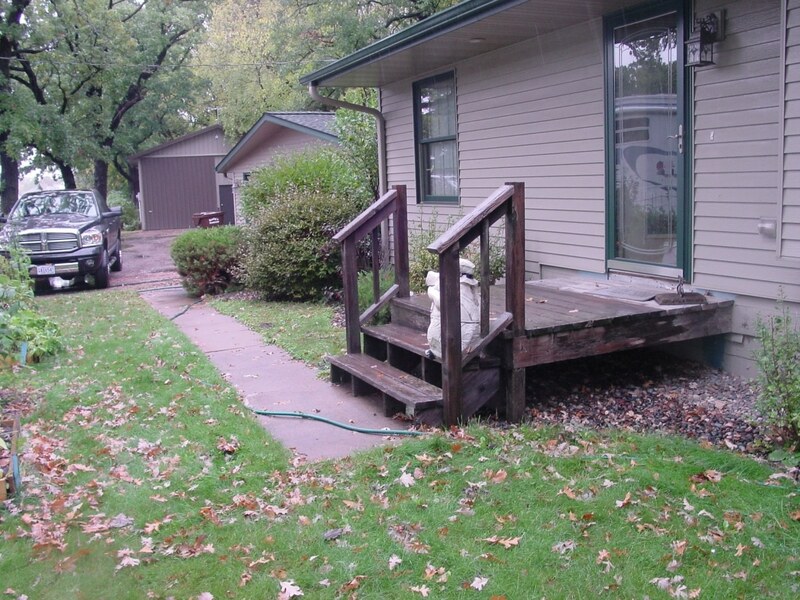 This expansive 44′ x 15′ deck was repaired, added onto, and re-skinned with new decking, railing, and staircase. 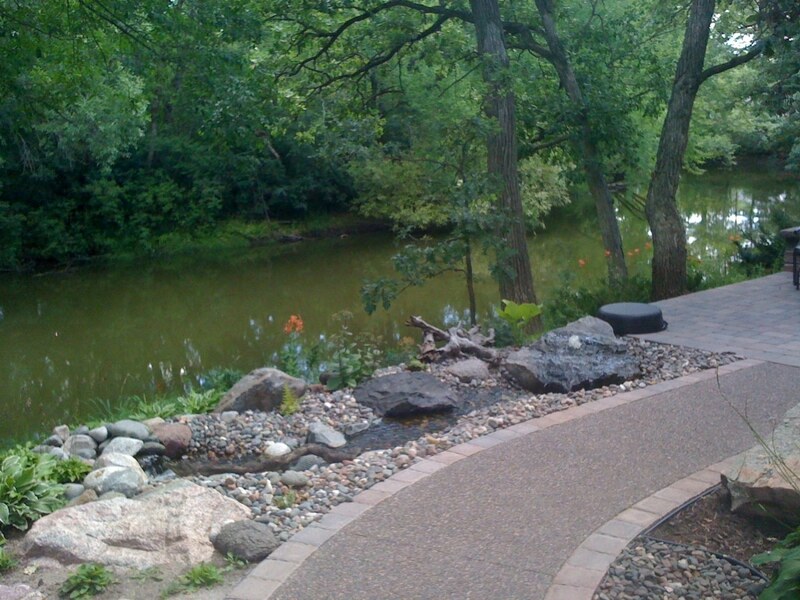 The decking is a capped composite, with capped composite rail, accented by the glass rail viewing the lake. 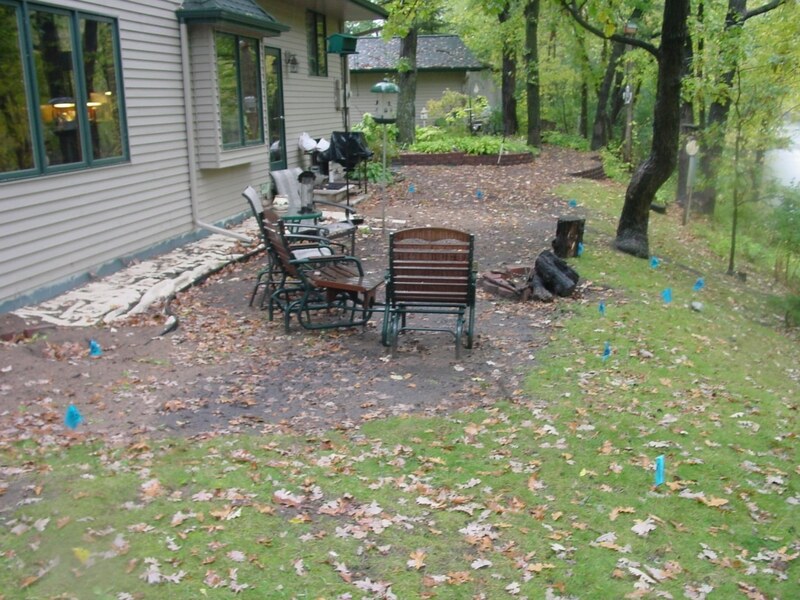 The structural posts are wrapped with Azek PVC to add curb appeal and remove the maintenance of painting or staining the posts every couple years. 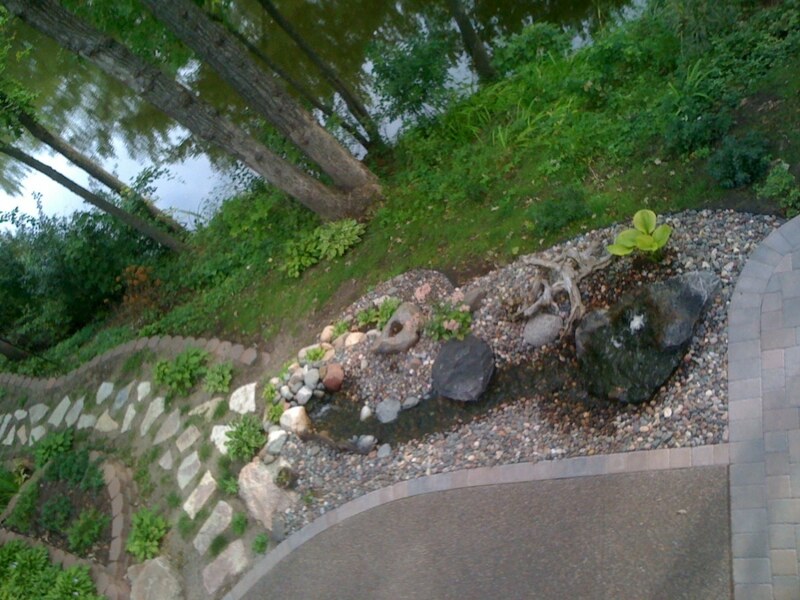 The custom built aluminum powder coated spiral staircase added the final touch to make this deck something special to be shared with family and friends for many years to come. 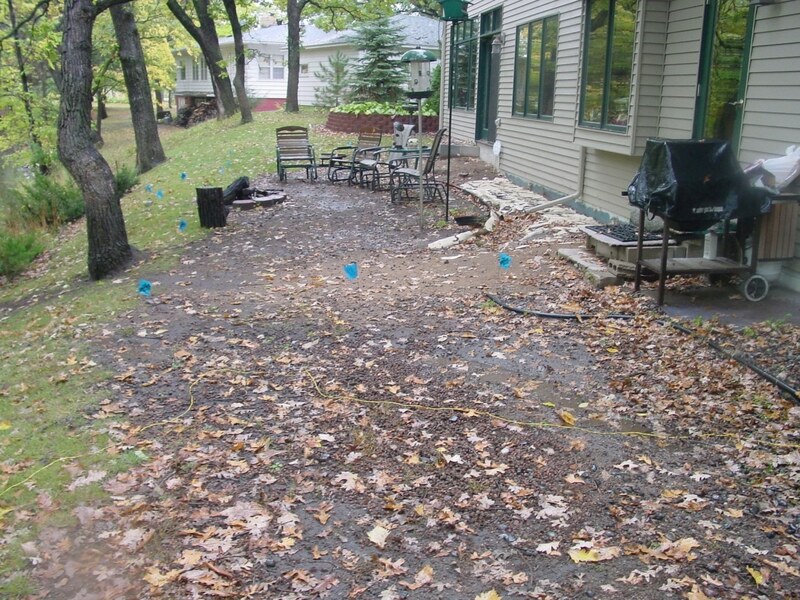 This compact 16′ x 8′ Trex deck was part of an addition project Building Renewal, Inc. built for one of our great customers. The decking is Trex Select Winchester Grey. The railing is White Westbury Aluminum Railing. 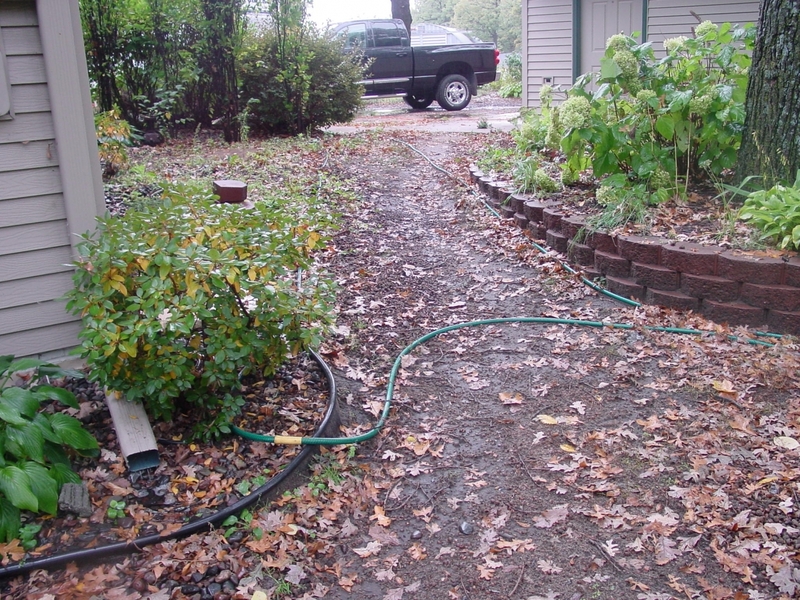 The structural posts are wrapped with Azek PVC to add curb appeal and remove the maintenance of painting or staining the posts every couple years. The valence accent boards are also made of Azek PVC. A beautiful addition to this home. 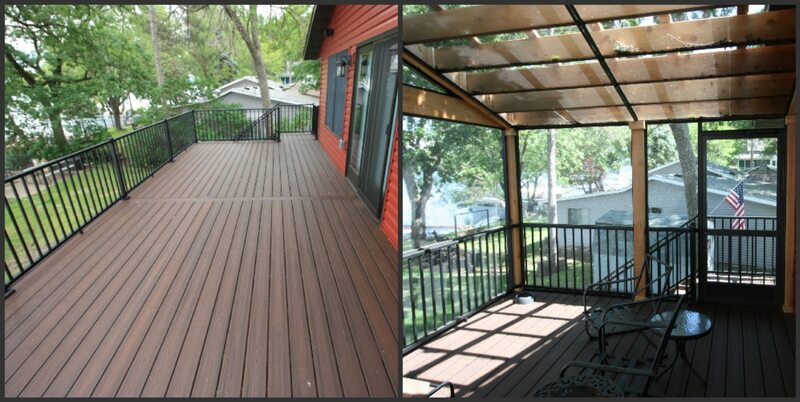 This compact 14′ x 7′ Cedar deck was part of a addition project. The decking and railing is constructed for red cedar. The porch is covered by an addition to the home’s roof, extending out over the porch. A great outdoor sitting area. 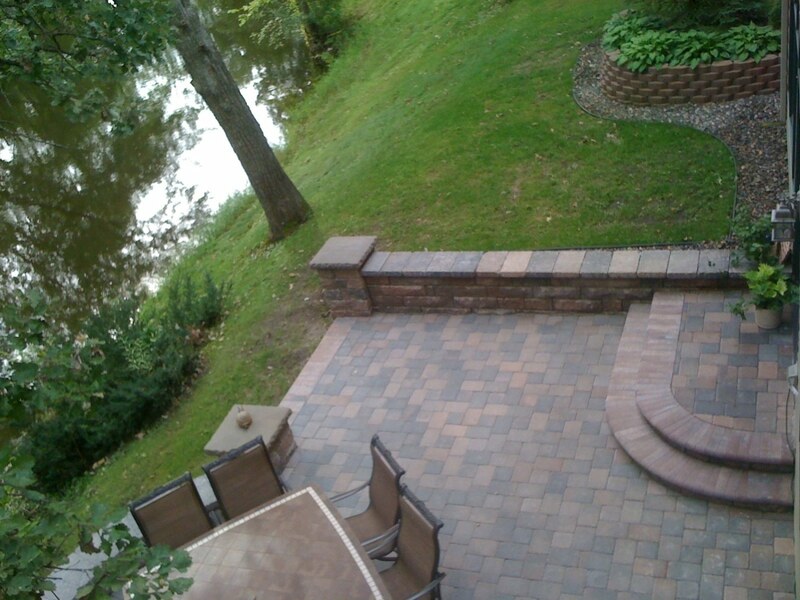 This large paver patio and water feature were added to expand upon the already beautiful views of this home’s backyard river. 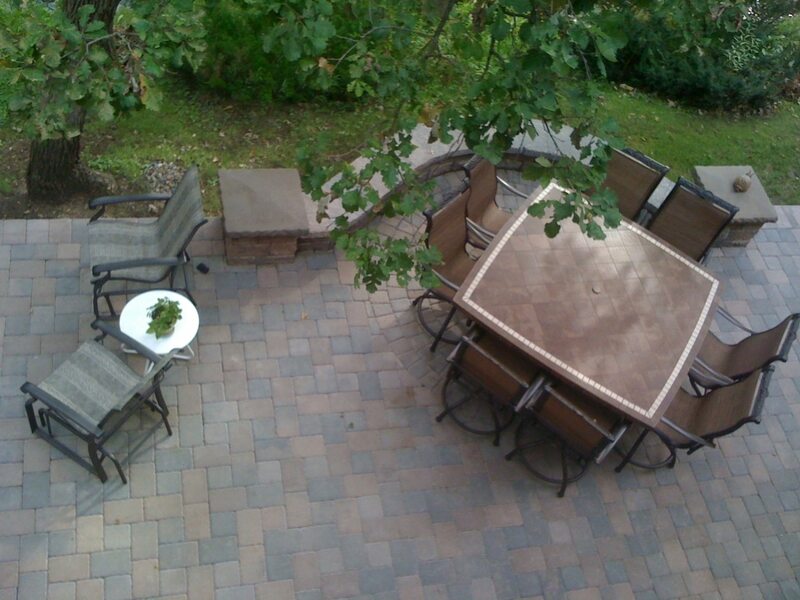 The patio added a new outdoor cooking and entertaining area. The new front stoop was a huge improvement for front curb appeal, and the sidewalks were a great improvement over the old dirt paths. A very nice addition to this property.